Gillian and her husband, Jason, have had a wide range of experiences since they first set off on a round-the-world trip in 2009. On their most recent adventure, their goal was to make enough money to continue to support their lifestyle, and after trying everything to make it work and not seeing the results they hoped for, they decided to head back to Canada, where Jason is looking for consulting positions. 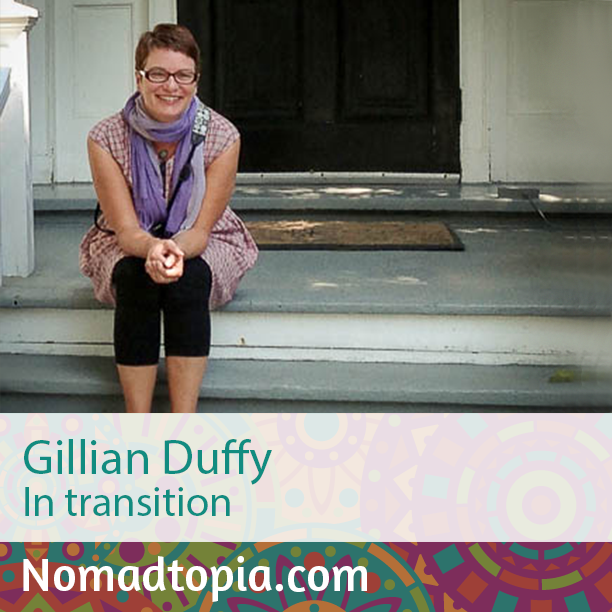 Gillian joined me to share the reality behind the lifestyle that not everybody is willing to talk about. This past year we cycled around Europe for three months. It is, by far, the best trip we have ever taken and is something we could not have done without the freedom of time and income we had created. On the show, I asked Gillian how much this trip cost, and she graciously shared the following information. Very helpful for those who are curious about doing something similar! Total expenses while cycling, from leaving London on April 22 to reaching Munich on July 7, were $16,028.00 CDN. This includes side trips, Italy, and a bike and cruise trip down the Danube from Passau, Germany, to Vienna, Austria (that trip was comped… except for booze). I have, for years, said that it is not money that makes a person happy. That I have been poor and happy, and well-off and happy, and so I thought that living on less would be fine. What I now realize is that when I was poor and happy I always knew that it would get better, that I was on a path to making more. This time when we’ve been poor, it’s been impossible to see a way out of it and, although we’ve been getting by, I have not been as happy as I had expected. Ultimately, that’s why we’re going home: I just don’t see a way out of just scraping by and, for us, that isn’t working. What ideas or topics resonate with you from this episode? What questions does it raise? Leave a comment below, or continue the conversation in the Nomadtopia Facebook group. Or share the episode and help spread the word by clicking on the icons below. Jan here. Where are you two now? Would love to hear from you. Just listened to an interview you gave and it sounds like you are back in the west. Let me know. I retired from last contract in June. Fun times at the cottage and our youngest got married June 30th.